First Devon and Cornwall have taken further advantage of First Glasgow's push to standardise on Volvo/ Wright vehicles by swapping a few more of their Volvo Wright single deckers for three of Glasgow's Enviro 500 double deckers. The first three are being placed into service on the 15 today and it is hoped that more will be released by Glasgow later in the year when they will be moved onto the revamped Tavistock services. 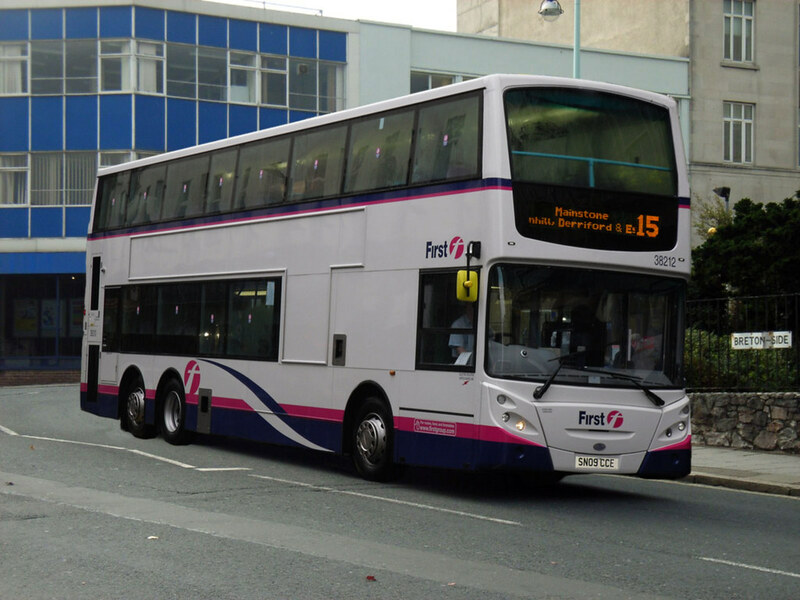 13:34 Service disruption in plymouth. Viaduct closed due to collision please catch buses from Royal parade. Excellent post. Shame the bus isn't route branded!! An excellent date to enter service Graham. One we may all remember. Excellent work with Adobe PS. I need to adjust my figures, as I don't think I have the depreciation charge set correctly for these Enviro 500's !!! I did try to get the Ugo branding on it! I'm just proud I didn't fall for it this year!